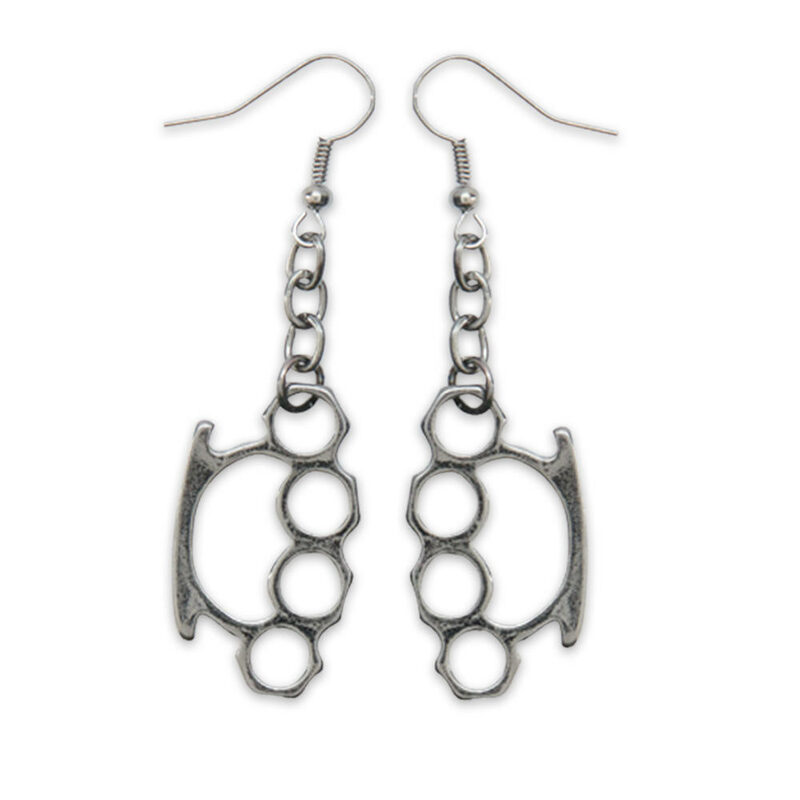 Make a statement with these cast metal brass knuckle earrings! Shaped just like the real thing, these jewelry sized brass knuckles are finished in burnt satin, giving the appearance of having been used in a fight. Each earring measures 1 1/4 in. overall.